A laptop desk can serve as your mini workstation while you’re lying on a bed or sitting on a couch. It can also be a great alternative for your room, if you don't have space for a desk or table. 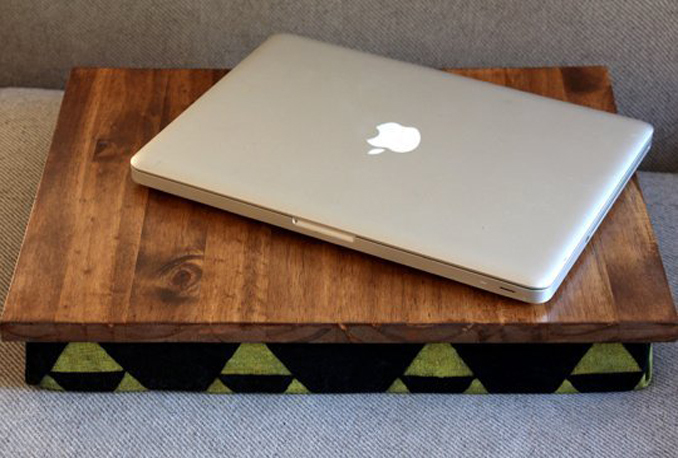 Let this simple step-by-step guide help you craft a mobile laptop desk that will surely be useful in your space. DIY Inspired by Mare Bee DIY. Main photo from apartmenttherapy.com.